Great staff. Doctor is pretty knowledgeable and it goes to the point. No wasting time no extra test or anything. Ilove her. Great staff. Doctor is pretty knowledgeable and it goes to the point. No wasting time no extra test or anything. I love her. 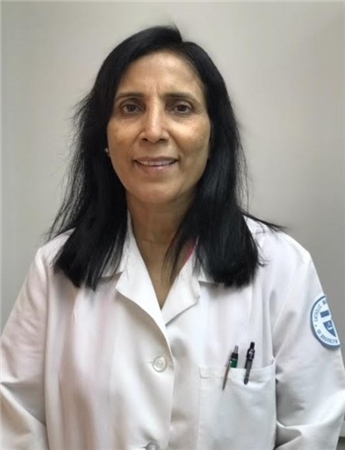 Dr. Laila Chagani is a competent practitioner serving the communities of Miami and Opa-locka, FL. She is diligent at her work as an internist and primary care doctor. She conducts exams and consultations at the practice of Pierre Blemur, MD. She is certified by the American Board of Internal Medicine. Dr. Chagani pursued her medical education at Dow Medical College. Patients visit her for a host of reasons including pyelonephritis, interstitial lung disease, thalassemia, cystic fibrosis, and spirometry. She speaks English, Hindi, and Spanish, which makes her skilled in building and strengthening relationships with diverse populations. Dr. Chagani communicates with her patients with clarity and ensures they have all the information they need to make the right treatment choices. She is flexible in working with the changing trends in medicine and in the healthcare market. I was called from room to room by multiple different nurses and the doctor instead of being told where to go or have someone show me which rooms to go in... Very unprofessional, seemed unsanitary. I was laughed at by boththe doctor and a nurse when I said I couldn’t get my blood drawn today because I would have passed out since I hadn’t eaten yet. I will not be going back to this office. I had to change my primary over and they worked me to do that , very friendly staff and very personable.